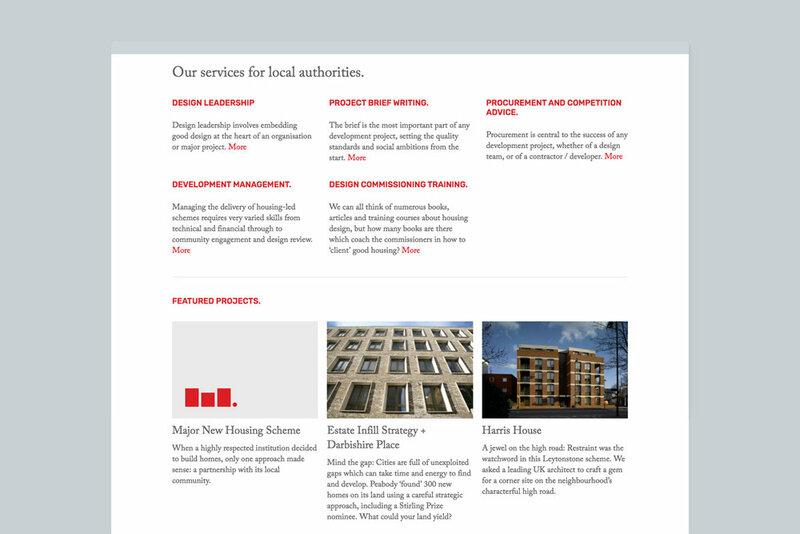 Brand identity and web design for a development consultancy helping create quality new public sector housing. 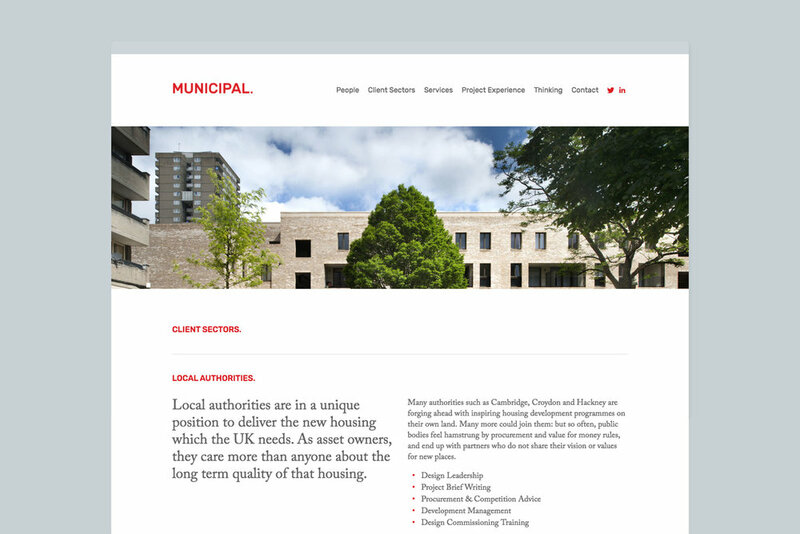 Municipal are a housing development consultancy with a mission: helping visionary people put thought, care, ambition and quality back into housing. With a million new homes to be built in the UK over the next ten years, Municipal are helping local authorities, architects, developers and housing associations work together to create beautiful new homes in the public sector. 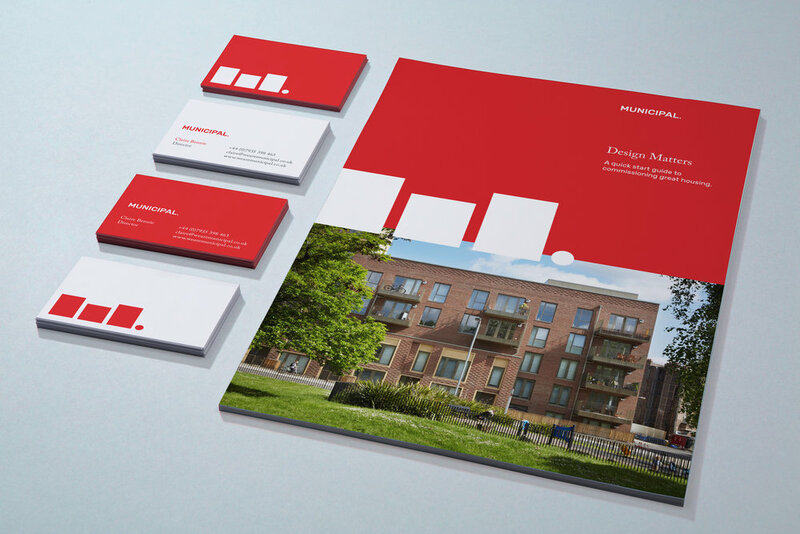 We worked with Municipal director Claire Bennie to create a new brand identity that helps strengthen their position as an authority on housing design. 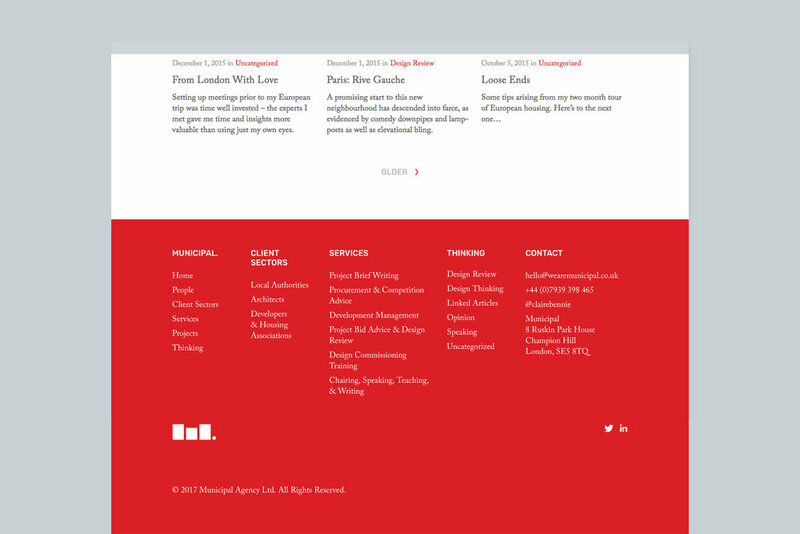 Claire has since been selected as one of the Mayor of London’s Design Advocates – a pool of individuals that represent the highest quality of talent and expertise across a range of built environment disciplines.